Differentiated Reading Challenges, Reading Logs, and Responses for March! 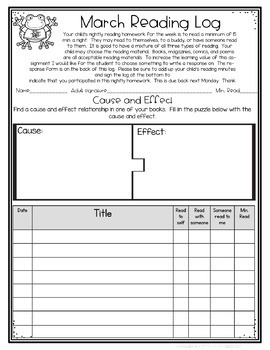 Differentiated Reading Challenges, Reading Logs (both for homework and in class), and Responses for March includes everything you need hold your students accountable for what they are reading at home and in class! Check out the preview to see the entire product. versions, one with 15 min. of reading per night, one with 20 min of reading per night). versions one with 15 min. of reading, one with 20 min. of reading per night. One weekly, one monthly for home or at school). 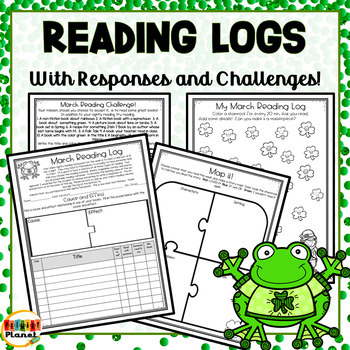 reading logs (or use in class). 2 January reading challenges, one a little easier than the other. 4 back to back, in class, fiction reading logs with prompts. 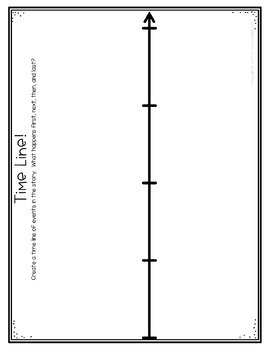 1 back to back, in class, non-fiction reading log with prompts. 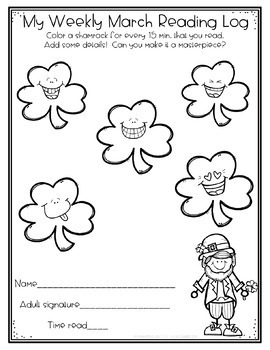 1 blank, in class reading log where you provide the prompts. Reading Challenges, Reading Logs and Responses for January!